If you're reading these words right now then you truly are a visionary! 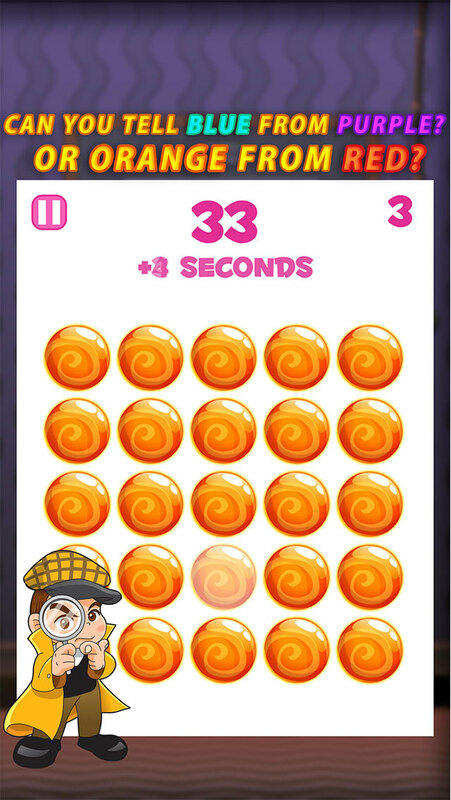 You love art, vivid colors, to draw, to paint, and most of all you enjoy playing puzzle games that test your eyesight! How do you connect the dots between visionary and a vision test game? It all has to do with eye balls!!! 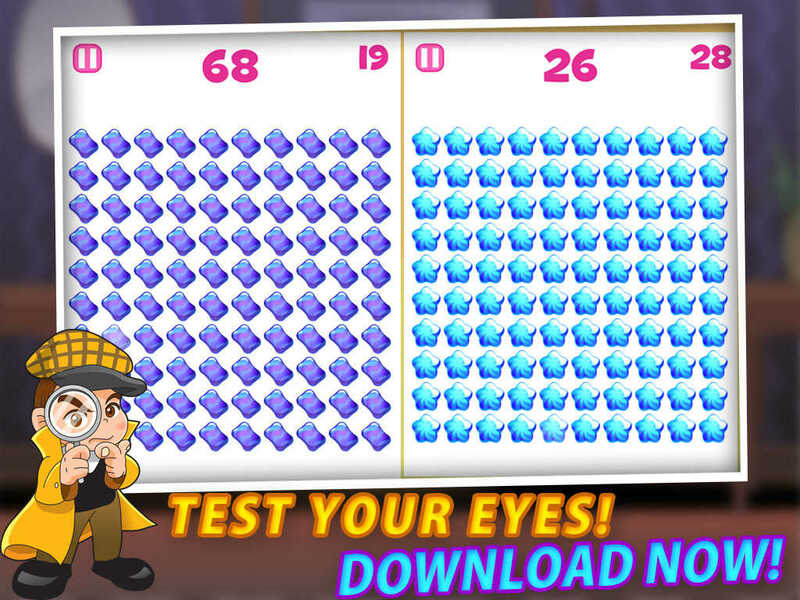 Keep your eyes peeled, because it's time to play Vision Test Games. 1. 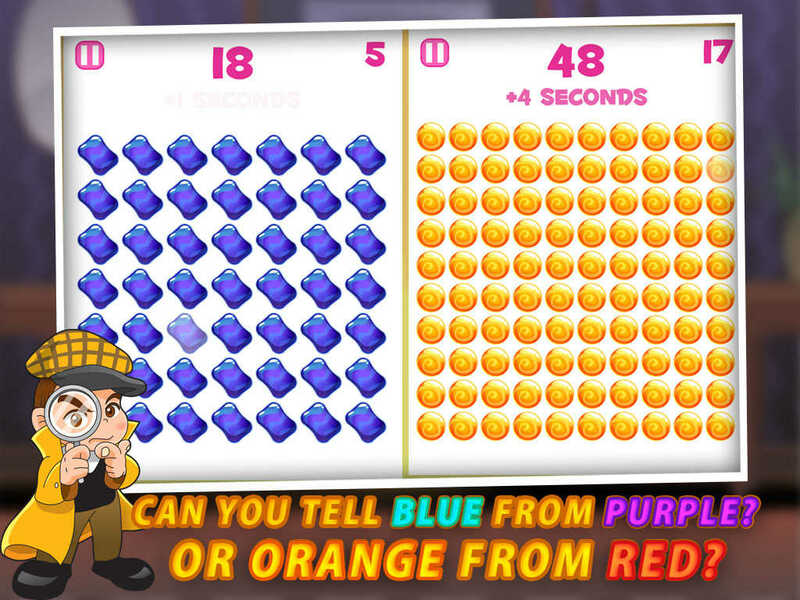 Each puzzle contains pictures of different shapes and objects all the same colour, except one is a different shade. Your job is to search and find the icon that's a different shade. 2. 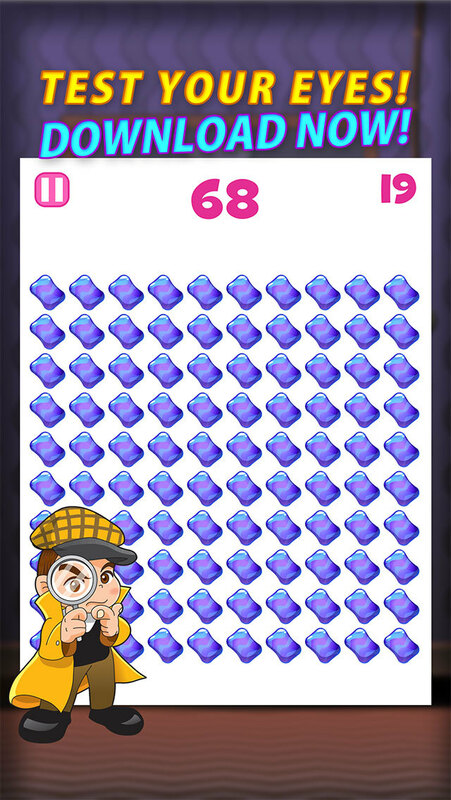 It sounds easy, but as you progress the puzzles increase in number making all the colors appear to start mixing and blend together! Don't strain your eyes to hard or you may start to seeing rainbow spots! 3. Each vision test is timed, so my guess is time is of the essence! This is one test no one can cheats on. It's a pass or fail situation. If you fail, no worries, just keep trying and soon you'll be one of the top players in the world. This is a fun game and you'll never get board because of the variety! Watch the mania build as you discover a new Eden that satisfies your fire in the belly for exciting gameplay! 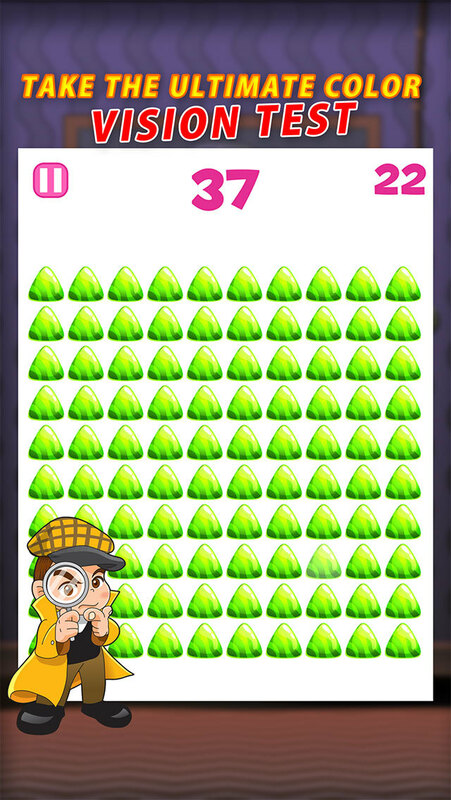 You can bug all the kids in your class with how awesome your eyesight is!!! You don't go with the flow, or color inside the lines, you're the unique mind who doodles and thinks outside the boxes! Kudos to you for being a champion vision test jigsaw piece finder! 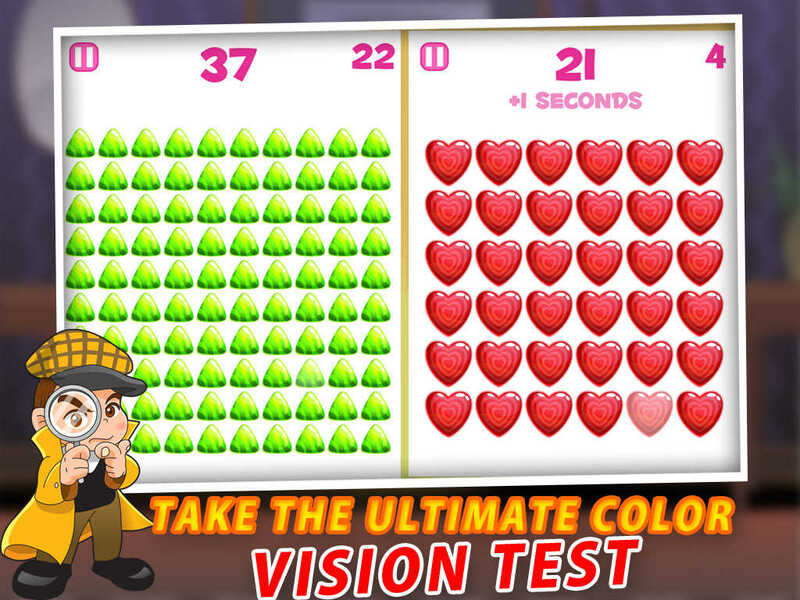 Download Vision Test Games ASAP , and put your eyesight to the ultimate test!